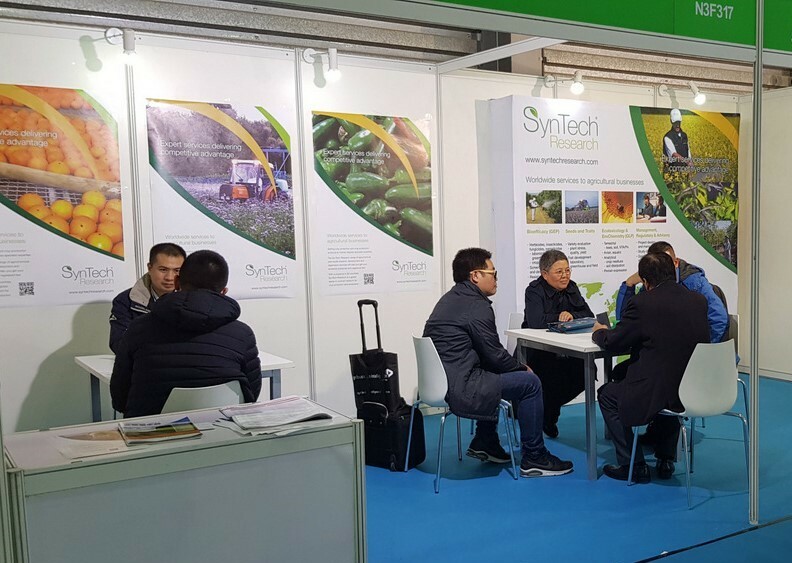 In March 2018, SynTech exhibited at the 19th China International Agrochemical and Crop Protection Exhibition (CAC) in Shanghai. SynTech already provides services to Chinese clients and there was particular interest in our Regulatory services from Chinese companies looking to enter international markets, particularly in Latin America and the EU. Chinese and other visitors to the SynTech booth were most interested in the company’s range of global services, often used in support of Regulatory submissions. As well as our Regulatory services, SynTech offers the full range of GLP services – residue trials, analytical laboratory and terrestrial, aquatic and pollinator ecotoxicology. Together with our GEP/Efficacy trials and Seeds platforms, these are important for companies looking for our help to do all the work necessary to help them position and register their products. SynTech was represented at CAC by Eric Ythier, Business Development Manager EMEA & APAC, Lino Rondon, Regional Director APAC and Richard Jin, Research Biologist at SynTech China.